As in the smartphone business, the market is slowly marginalized by the Top 5 companies. 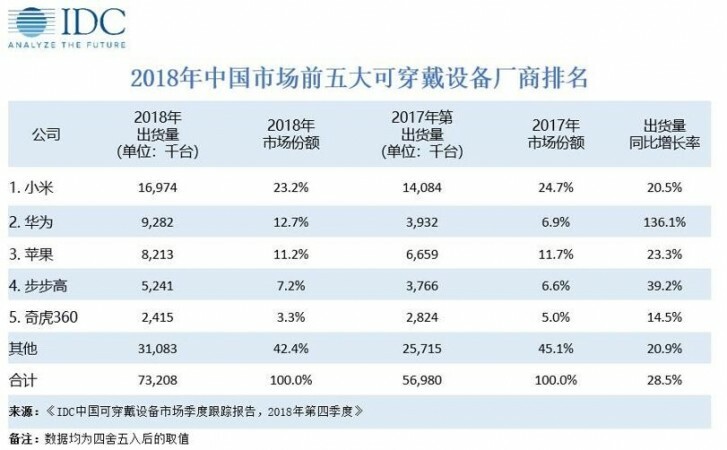 64% of the gadgets were sold by either Xiaomi, Huawei, Apple, BBK, or Lifesense in Q4 2018, compared with 57% 12 months ago. 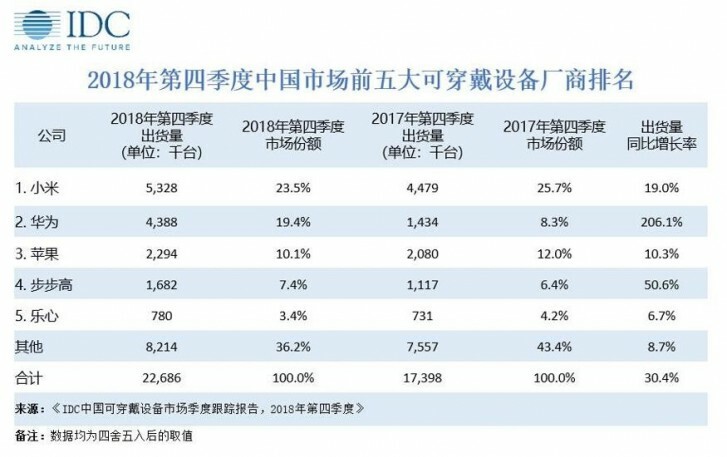 All five of them saw an increase in total amount of units, and IDC predicted the trend will continue, with the overall market reaching 120 million devices by 2023. A key segment for wearables is children smartwatches used by parents for trackers. Out of the 72.3 million devices sold, 21.67 million were for kids, with 38% of them having 4G capabilities. This share will grow in the future thanks to migration from 2G and 3G and because of improving online market. Pan Xuefei, Research Manager for IDC China, commented that heart monitor sensors and other health-related products would keep boosting the market and we should expect other manufacturers to join the party. Good to know wireless tech surpases wired one.